Organise regular meetings between all LUGM members and share views, opinions, experiences and have a good time. Linux is a free UNIX-like operating system kernel originally created by Linus TORVALDS with the assistance of developers around the world. Developed under the GNU General Public License (GPL), the Linux source code is freely available to anyone who wants to view, edit and further enhance the software. Over the years, several people, companies and organisations have helped us in our mission and some are still helping us today. Kudos to them and to those we've unintentionally skipped mentioning here. Ile-Maurice.com and Stephane Lee for bearing the fees for our domain names over the years and hosting our website and mailing list. The National Computer Board for inviting us to speak on Open Source, for believing in Open Source and helping us promote computing freedoms. O'Reilly Associates for donating us several tech books in our staring years, helping us build our library. Mediaspin.mu /TuxLab for hosting our site. IOS Indian Ocean Software Ltd for their sponsorship. The Computer Club of the University of Mauritius for their collaboration in promoting Linux and Free/Open Software. 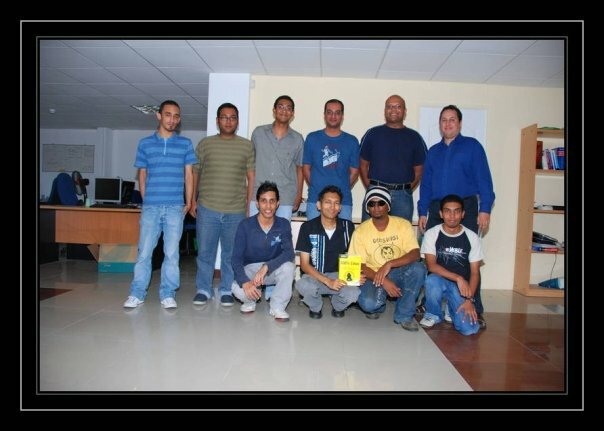 Mauritians Using Linux Group, founded by Aadil Noorkhan, merged with the LUGM. Hi, i want to make a career in Linux. I want to provide installation, support and training in linux, can you guys help me. We will have a meeting this coming Saturday. Maybe you could come and we could have a talk. Would it be OK If I came on saterday 6th as I need to learn more about linux and ubuntu. You are more than welcome to join us on Saturday 6th. Before leaving home, please check the blog in case the meeting has been canceled due to low attendance. Hi, Am a RHCE and want to be part of the group. How can i join in. How to become a member of t lugm.org. hi friends I am nicholas. Someone hacked my hotmail account and he deletes my emails which are very important to me. I would be grateful to you if one of you could help me to track this idiot hacker. He is a mauritian guy but I dont know his name and even never saw him. I really have to know who is this guy as am leaving mauritius in 5 weeks and it is the only reason why I dont start legal procedures. To be a member, subscribe to our mailing list and come to one of our meetings. am a Linux system admin and wanted to join LUGM. hi .. im nirav,student of computer science, want to become familiar to linux, is LUGM open for all?and may i join it? I’am from Mauritius and living in France, using for 10 years Linux everywhere, home, work, friends place…. I am glad to see such an association in Mauritius, keep promoting free software and Linux!! Urgently, need someone near Riviere du Rempart, Goodlands or Flacq to install Linux Ubuntu OS to PC. Any contact details..
Hi, I’m looking for a Research Assistant to work on Linux for a network based project. Salary 25K. please email me. Hi, are you guys meeting this Saturday 27 December? I live in Sweden. I come to Mauritius in November. I am a reseller for Rpi, Rpi B+, beagle bone black and arduino. If you can get a list of people who would like to purchase those devices, I would gladly bring a few when I come for vacations. I am an engineer working in Sweden and I used to be a member of lugm a long time ago while I was taking some classes at HM. Thanks Kevin for your offer. I’ll check with the others and will let you know. I work in a company which has a proxy server for internet access. The server has Linux OS, Centos 5. Can a Linux expert help in opening some ports to access certain frequently blocked website. I am Bruneau and i work for Joonas & Co Ltd as Maintenance Manager. We have a Rebar machine that uses Linux. The machine has a problem with its OS.